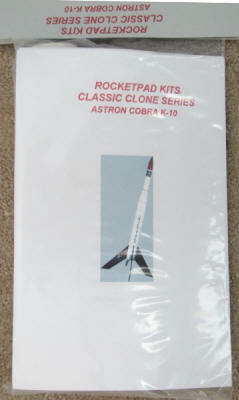 My first (and only, for that matter) cluster type model rocket was the Estes Cobra. It uses a cluster of three motors. It is a rather unattractive model, and uses four very large fins, most likely to help assure a controlled flight in the event that one or two of the motors misfire. A big concern with cluster models is that either a motor will fail to ignite or that one will ignite much later than the others. 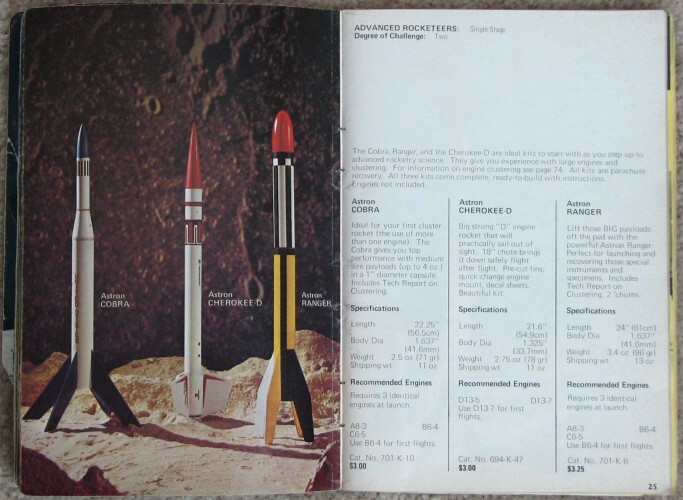 To the right are pages 24 and 25 out of the 1971 edition of the 1971 Estes Model Rocketry Catalog that featured the Cobra, Cherokee-D, and Ranger models. 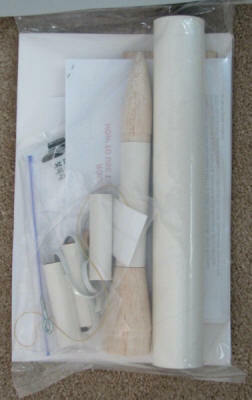 The first launch of my Estes Cobra model rocket was with three A8-3 motors. The flight went perfectly, and I was thrilled. I think the second flight used three B6-4 engines, and I recall that the time delay was not long enough because the Cobra was still travelling upward at a pretty good clip when the parachute deployed and a couple of the shroud lines ripped out. The Cobra landed without damage, even with a crippled recovery system.